Here are Swiss radio recordings of native performers, a father‐daughter duo, of lyrical, high‐flown chamber music by one of the country�s foremost composers, Othmar Schoeck (1886-1957) � now less known than his contemporary Arthur Honegger but hardly less gifted. Schoeck�s crafting of a melody in a rich, post‐Romantic vein may now seem more conservative than Honegger�s tart neoclassicism, but this trio of violin sonatas demonstrates the lasting appeal of such a gift, even as his language inevitably evolved through the 40 years and more of composition which they span. Placed last on the disc, the D major Sonata, WoO22, was composed first but revised late in life, without compromising its playful, carefree charm. The First Sonata, op.16, is Schoeck�s first major composition, written in 1909 and dating from his mid‐twenties after he had completed studies with Max Reger at the Leipzig Conservatoire. This was the institution which more than any other of the era was the finishing school for composers who would go on to plough original furrows in their own lands, informed by but running parallel to the determined innovations of Stravinsky and the Second Viennese School, principal among them Busoni, Delius, Alben�z and Jan�ček. The Second Sonata, op.46, dates from 1931 and is nominally cast in E major but inevitably moves away from a consistent tonal centre according to the temper of its times; Schoeck had by then written the opera Penthesilea (1923‐25) which experiments with an atonality influenced by Berg�s Wozzeck. The dusty reception given to the opera persuaded Schoeck to retreat from such innovation, and the Sonata is written in an austerely neoclassical style, with a more detached and restrained language. With its almost lunar abstractness and the frenzy of the writing � in which the two instruments seem almost continuously to go each their own way � the Scherzo is probably the sonata�s most successful movement. 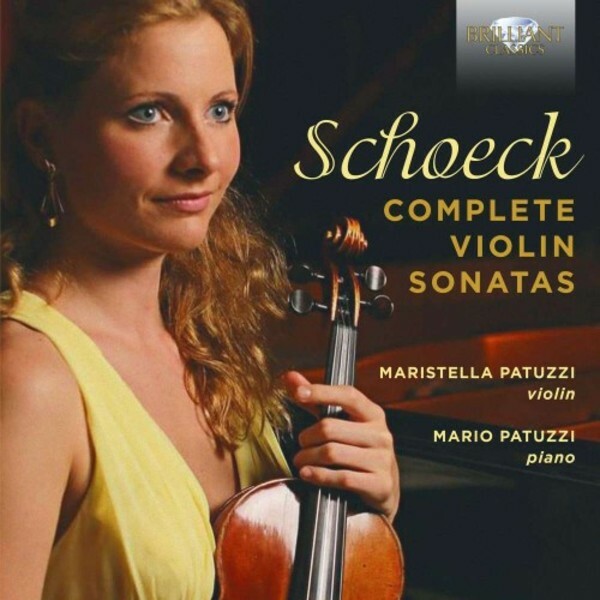 Maristella Patuzzi�s latest album of Piazzolla�s music was released on Decca to wide acclaim. Her previous albums for Brilliant Classics include music by Bloch (BC95015), also partnered by her father, and the Violin Concerto of Manuel de Sica (BC94905).